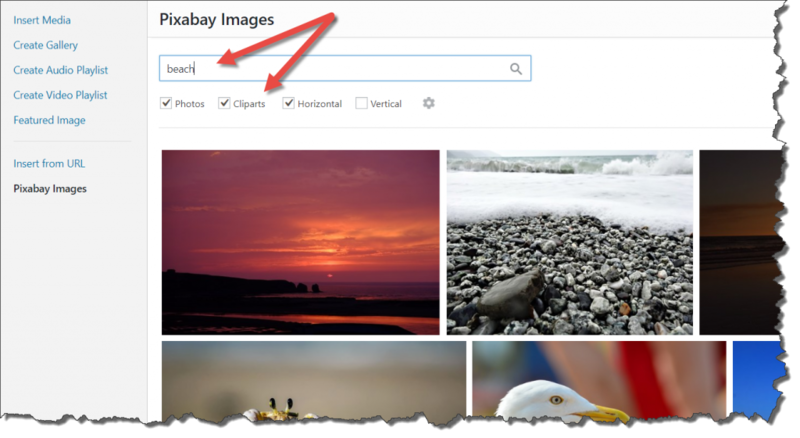 If you host a WordPress blog yourself and like to search and find your post images on Pixabay, you should definitely install the new plugin “Pixabay Images” in version 3.0. It’s free. Pixabay is a success story. Five years ago, I introduced you to the service – that was brand new back then – in this article. These few years ago, Pixabay had 40,000 images in its portfolio – all of which were licensed under CC0, making them usable without any attribution. Since then, nothing has changed regarding the latter. However, the number of images you can download there has increased drastically. By now, Pixabay hosts over one million files. Furthermore, illustrations, aka clip-arts, were added to the offer. For a little while now, Pixabay has been providing a plugin to make using the images in WordPress easier. Two weeks ago, its version 3.0 was released, making it a matured solution that I can recommend to you. Pixabay Images is also being used here at Noupe. About this plugin, there are two aspects that impress me the most. One is the integration of the image search into the standard dialogue. Pixabay Images can be accessed using the button “Add Media,” that you always use to add images and other files to your articles and pages. Here, no separate access is required. 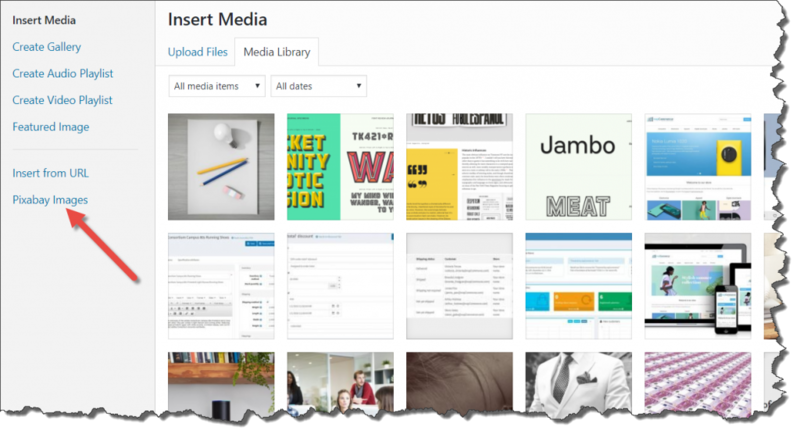 The second aspect is the fact that images from Pixabay are uploaded to your own media library right away. Other providers fob you off with external links. Pixabay, on the other hand, places the 1,280-pixel wide variant right into your blog. By the way, if you don’t want to access Pixabay Images via default dialogue, you can force a separate button for the Pixabay search in the settings. Here’s also where you get to set the language. Aside from English, there are 25 other languages to choose from. The settings are also where you define if you want photo credits should be added when implementing the images into your articles. As you know, that’s not necessary. Of course, the Pixabay operators are still happy to see someone link the picture source. Do it however you want to. Seek Via Free Text, and You Shall Find, Too. You can find the desired image via a free text search box, where you can enter keywords, as well as parameters like “city OR town,” to find all images that are tagged with city or town. With “flowers -red,” you’d find all images with flowers, except for the ones with red color in it. You should already find the parameters familiar from Google search. Lastly, if needed, you can limit the results to photos or clipart, and to vertical or horizontal files. The display of the results is done in a fine Masonry grid that makes optimal use of the given space. Move through the result page without having to switch it via Infinite Scrolling. 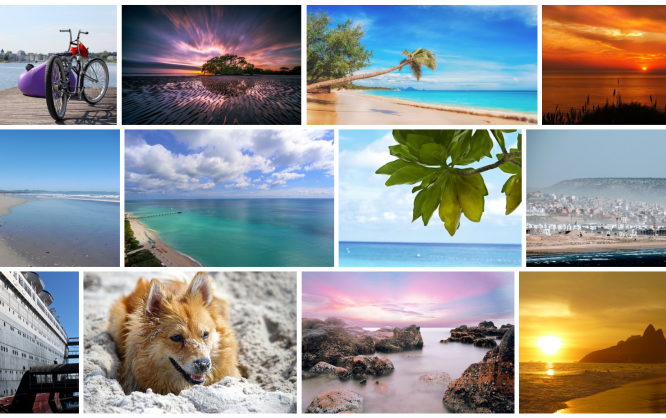 Choose the desired image from the grid with a simple click. Now, the image is loaded into your media library right away, and the view switches to the default dialogue for image information. Depending on the settings, this is where you’ll find the photo credits. After the Pixabay images are in your media library, you can apparently handle them just like all other deposited images. Overall, Pixabay Images is a fast, well thought out, and powerful plugin for the WordPress user. If you’re using Pixabay to find your images as it is, you should install the plugin. It will save you tons of time. Oh wow, herzlichen Dank für die Vorstellung des Pixabay Plugins!